TransMount Quick Setup Adapter for Crane 3-Lab & WEEBILL LAB is rated 2.8 out of 5 by 5. Rated 1 out of 5 by Stephen from Zhiyun fails again to provide information Nowhere in the info does it explain what comes with this kit. Seeing as it was a kit Id assumed it would come with two plates for the stabiliser and one quick release for the tripod/monopod leg (for quick switching). So I ordered it to Australia to find that theres only one plate for attachment and therefore you cant actually switch quickly. The advert is poor, the product is fine but Zhiyun struggle with their customers, between their poor app and things like this. The advert has since been updated with more photos available now and the definition reads two-part whereas it never did for the pre-orders. Rated 5 out of 5 by Johannes from Great GREAT Adapter Quick, solid and easy usage. Rated 1 out of 5 by Stephen from Only comes with one Not originally advertised as showing you need two. The advert has since changed and they have loaded more pictures. Very poor of them to not include two stabiliser plates with the one tri/monopod mount so you can actually quickly switch between underslung, which is the primary intention. Rated 5 out of 5 by Christopher from Nice and quick These are really nice quick releases.. so nice in fact that I use it on other things... I have one on my full length monopod too. Does it work on crane v2? Yes, the Crane V2 has a tripod threading under it as well. You could use this with the Crane V2 and other products with a 1/4&quot;-20 threading. Do I need two of these if I want to switch back and forth on the handle tripod position or low profile shot? If you want to use it with Weebill Lab, then yes, you need two of these. I'm surprised it is not mentioned anywhere. Theoretically, you need one quick release part and two pieces with threaded screw on top. 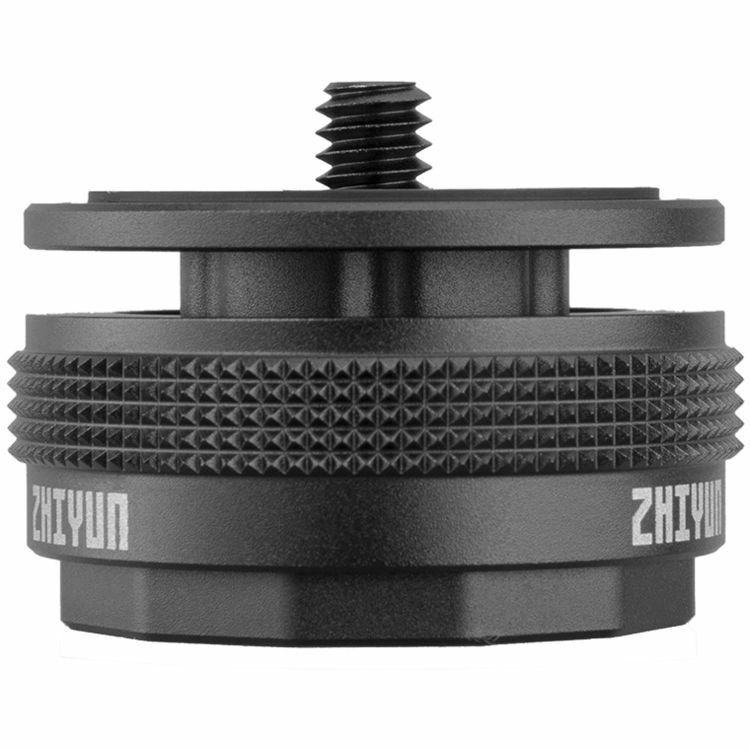 But, of course, Zhiyun includes only one, just so you would have to buy a second quick release kit.